Biking to work is one of the most enjoyable and environmentally responsible decisions you can make. It also provides good exercise, and helps busy women fit in a workout into their already jam-packed days. Whether you’re already riding a bike to work, or you want to try it for the first time — here are some of our top tips for making your bicycle commute go smoothly. If your bike has been sitting in the garage for a while, dust it off and make sure that it is working properly and is safe for riding. At a minimum, you should ensure your tires are properly inflated and that they have plenty of tread left on them, that all your bolts are properly tightened, and that your chain and gears are lubed and running smoothly. If you’re not sure how to do these things, you can either learn (yes, you are totally capable), or take your bike into a shop for a once-over. The route that you drive to work is probably not the best route for biking to work. The best way to choose a route is to find a bike map for your city. Often, you can find a PDF version online by Googling “MY CITY + bike map.” If that doesn’t work, then head to a local bike shop or call the city and see where you can find a paper map. If a bike map simply doesn’t exist for your town, then pull out Google maps and try to piece together a route that appears to be low-traffic. This generally means choosing residential streets and avoiding big buys roads. Once you’ve developed a plan for a route, try riding it on a weekend day or a day off work when you are not in a rush. This will help you determine if it is indeed a good, safe route and how long it will take you on a work morning. Just remember, there’s usually more traffic on a weekday, so add a couple of minutes just to be safe. Bike commute often enough and things are going to happen. Your bike is going to break down, you’ll have to stay late at work one night, there will be a freak snow storm. Have a plan ahead of time on what you are going to do when disaster strikes. Perhaps you have a co-worker that lives near you or a friend that can pick you up. I always make sure to have a credit card and a way to order a taxi/Uber/Lyft just in case. How sweaty you’re going to get biking to work is largely dependent on how far you have to bike to work. If you have a short commute, you’re probably okay using a couple of baby wipes in the bathroom when you get to work. If you have a long commute, or your biking in hot weather, than things get a little trickier. You might have showers at work, in which case just make sure you have enough time budgeted in the mornings. If you aren’t lucky enough to have showers at work, I recommend two things. First, is to bring a change of clothes. You can put your bike clothes back on to cycle home at night. Secondly, make sure to bring deodorant and plenty of extra large baby wipes. I like the HyperGo After Sports Wipes. Finally, bring whatever else makes your feel refreshed and ready for your work day. Things that might help you are a little bit of dry shampoo, a hairbrush, and some makeup. If you are just getting started bike commuting, use whatever bike you’ve got. (Just make sure you’ve checked to make it is safe to ride, as I mentioned above). Once you’ve decided that this bike commuting thing is for you, you might want to upgrade your bike or maybe even invest in a new one. At a minimum, I’d recommend you have slick tires on your bike. If you are using a “mountain bike” with knobby tires, you’ll get worn out riding on the road quickly. 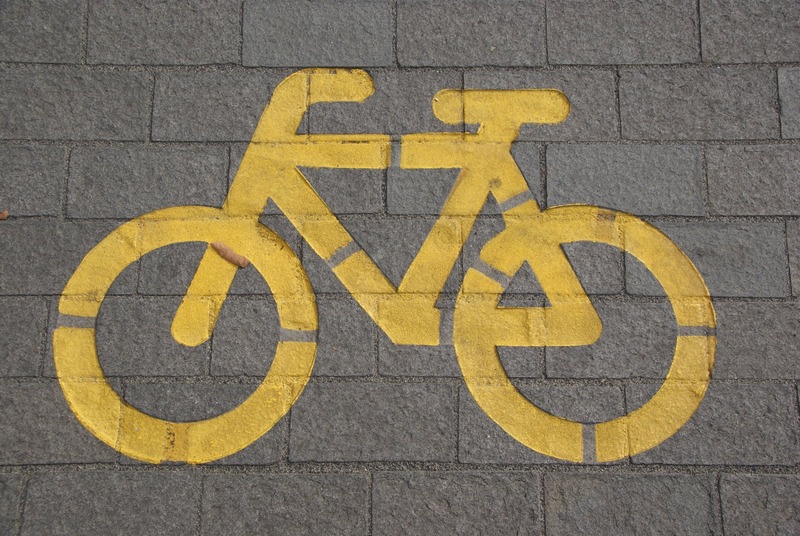 You can replace the tires with “slicks” that are intended for biking on pavement. There are other accessories you can add to make your commute more enjoyable. If you bike in rainy conditions, consider fenders. If you have lots of gear to carry with you, add a rack to the rear of your bike. The Planet Bike Versa is one of our faves. Maybe you don’t already have a bike, or maybe you are ready to buy a new one. Unlike road cycling or mountain biking, most “best” commuter bikes, in my opinion, are comparatively cheap. There’s no need for carbon fiber or suspension in bike commuting. Your bike is probably going to sit out in the elements while you’re at work (unless your office is cool enough to let you bring it inside), and there’s even a good chance that at some point it is going to get stolen. The best “traditional” commuter bikes have disc brakes for fast stopping even in inclement weather, flat bars and upright geometry, and at least a couple of gears for dealing with hills. The other two types of bikes that you might want to consider are cargo bikes and e-bikes (or an e- cargo bike!). Cargo bikes have space for carrying groceries and other “cargo” — even kids. These can be a great option if you are considering not only biking to work, but biking for most (or all) of your errands. In this category, we really like the popular Yuba Mundo. 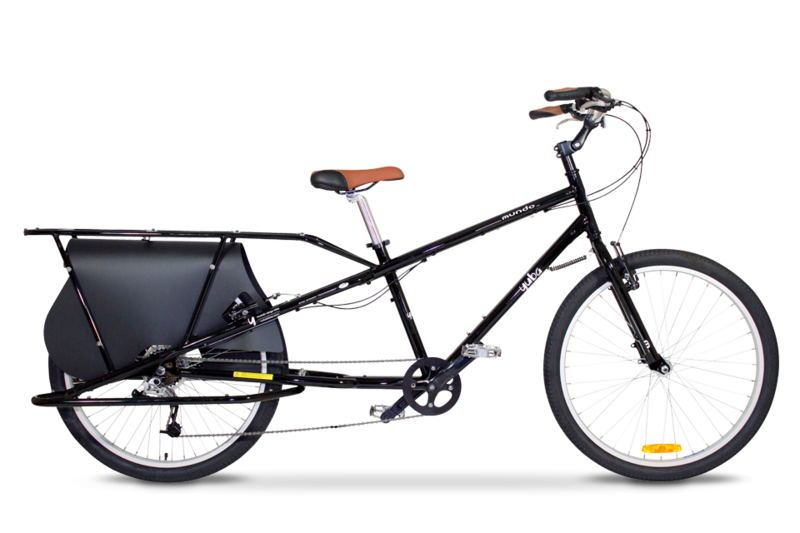 It’s a “long-tail” cargo bike that provides space for children, packages, or whatever else you might normally load in your SUV. The other type of bike you could consider for bike commuting is an e-bike. “E-bikes” are bicycles with an electronic motor. It’s not a motorcycle, you do have to pedal and work, but it can make long commutes, or commutes with lots of hills, much more feasible. The Electra Townie Commute Go! 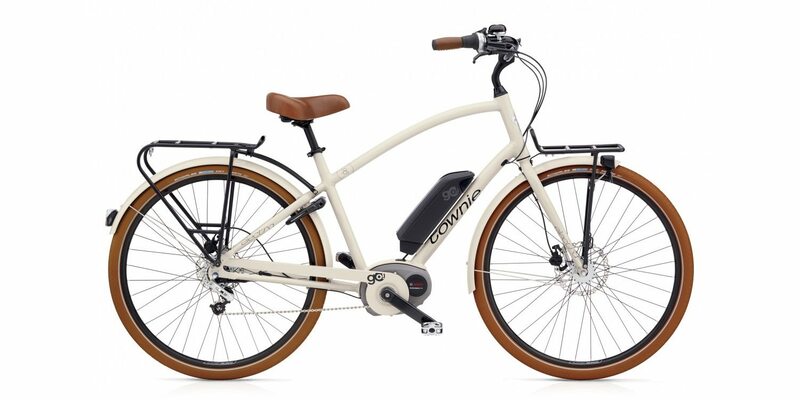 8i is one our favorite e-bikes for women. It is stylish, has an upright position, and can go up to 100 miles before it needs to be recharged. What you wear to bike to work is largely up to you and what you are comfortable in. For years, I had a 2.5-mile commute to work, and I just wore my regular work clothes. If you have a longer commute, you might want to wear exercise or cycling clothes and then change once you get to the office. This could be yoga pants and a t-shirt, or bicycle shorts and a jersey. 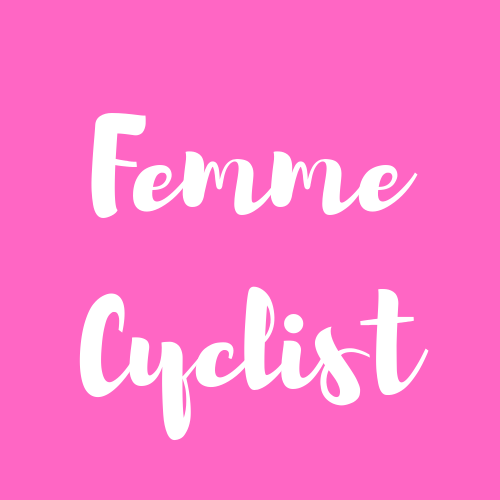 There isn’t any right or wrong outfit, and the work commute isn’t a century ride or a mountain bike race, so you really don’t need to impress anyone. There are some really cute “commute” outfits on the market if you want to spend the money on them. The Terry catalog is one of our favorite places to shop for commute-chic stuff. One thing to remember is that if you are wearing pants, they are likely to either get caught in the chain and ripped or get bike grease all over them (and it won’t wash out). You can actually buy a velcro strap to secure your pant leg, or use a rubber band. Dorky? Yes. But who cares. The alternative is to work tight pants or leggings. As women, we generally have lots of stuff. I never have understood how my husband can leave for work with only his wallet, keys, and cell phone. I leave with my purse, my laptop, my lunch, a spare change of clothes, a book to read at lunch, snacks for when I pick my son up from school, etc, etc, etc. The question is how to carry all of this on a bike. You really have two basic options: a backpack or panniers. A good old-fashioned backpack works pretty well, but if you have a long ride or you are biking in warm weather, your back might get sweaty. If you have a lot of heavy stuff to carry, it can also cause strain on your back and shoulders. Another option is to invest in some panniers. Panniers attach to a rack on the back of your bike. They come in all sizes and designs, and we prefer the waterproof ones. There’s nothing worse than an expensive laptop getting wet on the way into work. 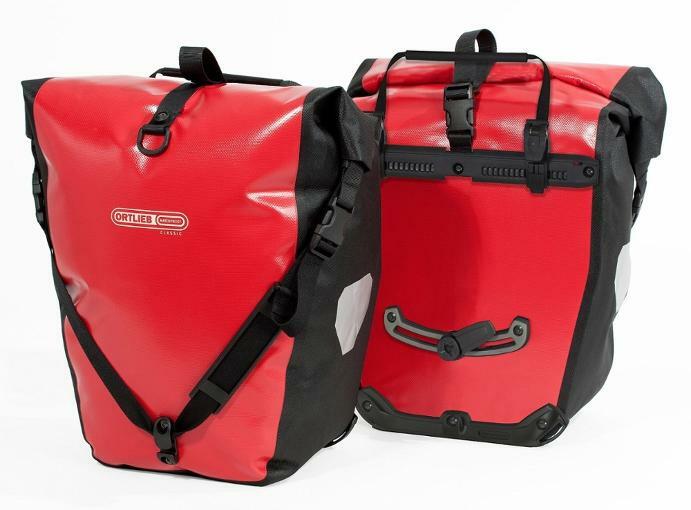 These Ortlieb panniers are some of our favorite. They are waterproof and have plenty of space for hauling your laptop, clothes, lunch, etc. Except for a few months in the summer, most of the year it is likely that you will either be riding to work or riding home from work in the dark. This may turn a lot of people off from commuting, but I’ve always found these rides to be peaceful and a little exhilarating. The key is to make sure you are VERY visible. Even if you aren’t riding in full dark, the periods of low light can be dangerous as well — if you aren’t prepared. I would recommend investing in GOOD lights. All too often I see morning commuters riding with barely visible lights, and it makes my stomach churn. Have a super bright front light and a super bright rear red light. Other ways to make yourself more visible, is reflective clothing and reflective strips that you can put on your bike. When riding to work in the dark, I like to wear a bright yellow jacket with reflective strips. With my lights and that jacket, I’ve only ever had one close call (which is far less than I’ve had in the daylight). If you will be parking your bike outside (most of us do), make sure to invest in a really good bike lock. It is a pretty crappy feeling when you leave work at the end of the day and your bike isn’t there. You always want to lock the frame of the bike to something secure, and depending on how theft-prone the area is (and how expensive your bike is), you may want to lock the front wheel as well. Be prepared for rain, snow, wind, toranadoes — whatever it is that could be possible in your neck of the woods. Even if you bike to work in lovely conditions in the morning, 8 or 9 or 10 hours later, things could be completely different. In bad weather, you want to make sure you have your lights. Bring along a lightweight jacket or rain coat, or leave one at your desk in the event that the weather man was wrong. Don’t ride on the sidewalk, ride on the road. Ride with traffic, not against. Stop at stop signs, stop at traffic lights–just like you would in your car. Make eye contact with drivers, particularly at intersections where they are turning right or left. Don’t assume they see you even if you have the right of way. Don’t hug the curb. Give yourself some room to maneuver. Watch for cars coming out of alleys, side roads, and driveways. On roads with parked cars, do not swerve around cars. Maintain a straight line. Watch for opening car doors. Verbally alert other cyclists or other pedestrians if you are going to pass, or use a bell. Pass on the left, never on the right. Use hand signals to alert others when you are turning or stopping. Ride confidently and be predictable. For many, the best car-less commute involves more than just a bicycle. The fastest way to work might involve biking to a train stop, taking the train, and then biking from the train station to work. I also know people with long commutes who will drive to work, bike home, and then bike back to work (and their car) the next morning.